Pat Borland is a volunteer with the charity Farming Community Network, which supports farmers and families within the farming community through difficult times. Originally from Zimbabwe, Pat moved to live in Mid Wales 10 years ago and has been an FCN volunteer for the past four and a half years. She inherited the secretarial duties in October 2014 and early in 2015 the role of Regional Coordinator was added. 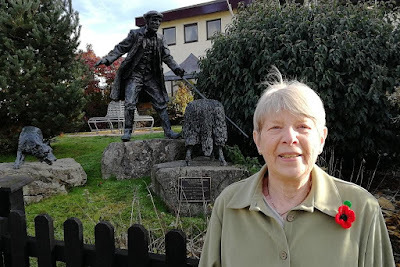 I caught up with Pat at the FCN national conference last Autumn at the Royal Welsh Showground near Builth Wells, and recently found out more about her role and the FCN. How did you get involved in volunteering with the Farming Community Network originally? 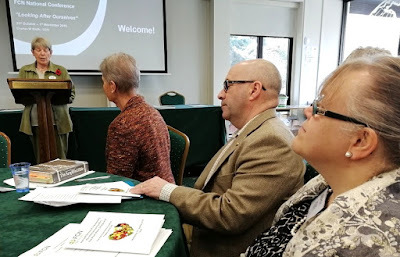 My husband and I were asked, due to our experience in agriculture, to join the Diocese of Swansea and Brecon Rural Life Committee through which we met Revd Richard Kirlew. At the time he was the FCN Regional Coordinator for Mid Wales and he inspired me to volunteer for FCN. The main responsibility of Regional Coordinators is to oversee the organisation and activities of FCN groups at county level. They are the link, with their Regional Directors, to the FCN head office and staff who provide direction for the organisation and support to the volunteers. Key duties are to receive, process and delegate case referrals but in order for this to be effective there should be sufficient, adequately trained caseworkers available as well as adequate resources and safeguards. Making sure that everything is in place in a voluntary organisation is very challenging! Volunteers can be called on to support farmers through a wide variety of crises from running short of stockfeed to bankruptcy, and from minor family fallouts to bereavement and suicide. Some cases are resolved with a few telephone calls while others require the caseworker to provide support for months and even years. The support takes the form of listening and helping farmers work through the options open to them rather than giving guidance and advice but frequently caseworkers call on the expertise of other organisations and professional people to assist in restoring the farmer’s capacity and ability to run his/her own life. What are some of the signs that someone from the farming community is struggling with their mental health? These are much the same as in all sectors of the population, the difficulty being that farmers tend to be more isolated than those who live in villages or towns so there is less opportunity for others to detect the signs. One of the most obvious signs is a significant change in behaviour and another would be that the farmer is not coping with his routine work load. Ed Ford, Chairman of the National Federation of Young Farmers said last year: “Farmers are incredibly proud people and will not ask for help.” What can we all do to encourage farmers to talk about their mental health? We should work towards a society in which mental health issues are discussed as freely and non-judgementally as any other, and can provide opportunities and places where farmers can feel safe and comfortable about discussing their wellbeing e.g. setting up Wellbeing Clinics at livestock markets and ensuring that market places provide opportunities for individual farmers to discuss their concerns and problems in private and in confidence. What kind of support can FCN provide when someone does get in touch? Once farmers have contacted FCN and requested assistance they are provided with a caseworker who will ‘walk with’ them for as long as it takes for them to regain their self assurance to manage on their own. The caseworker does not give technical advice but rather gets the farmer to talk through all his/her concerns and suggests various options for moving forward. If the farmer needs specific professional advice or financial support then the caseworker will indicate the options available and assist with the processes involved. For example in a recent case the father of a family with several children who have special needs was incapacitated leaving his wife (in this case the farmer) to cope on her own in financially straightened circumstances. The FCN caseworker was able to advise the farmer on how to establish that she was paying far above the recommended rent for her small holding; where to apply for grants and support for her special needs children; and finally which agricultural grants and loans she was eligible for to help her through the difficult time. Unfortunately her misfortunes are not over - now she has received notice to vacate the smallholding within one month but her caseworker is still supporting her! What are some of the most challenging issues facing farmers in Mid Wales at this time? The combination of last year's long, hard winter with the long dry, hot period during summer has resulted in livestock farmers having used up all their on-farm feed stocks and being unable to build up sufficient reserves to take their normal stock holdings through the winter and early spring. They have been forced to de-stock when prices are low resulting in financial losses. It is at this time of year that farm subsidies are paid out and inevitably some farmers are not paid on time or as much as they anticipated which leads to enormous financial stress. Not to mention Brexit which is making the future so uncertain. Once the political situation has been finalised then farmers, like other business people, can make decisions and move forward with a greater degree of certainty and confidence. If people don’t receive the support they need, what can happen to them and their farms? As in other families and businesses this can lead to severe personal and family stresses which may end up in family breakdown or even suicide, and if the family cannot function properly, the farm cannot be run productively which means it will probably have to be sold or in some cases just abandoned! Of all professions in the UK, farming has the highest number of suicides: nearly one per week! We hear that isolation and loneliness can be a big issue for some farmers. Are there any networks that farmers can tap into? Farmers can and should participate in community activities and interact with their neighbours and colleagues. More formally young farmers can join Young Farmers' Clubs while all farmers can join the NFU (National Farmers' Union) or FUW (Farmers' Union of Wales). Through these organisations, or other sources of information, farmers will learn of conferences, seminars and short courses designed to strengthen their skills and should make a point of participating in these on a regular basis. One appreciates that it is not easy for them due to the distances they may need to travel and the difficulties of leaving the farm unattended however resolving these issues is easier than sorting out the consequences of long term isolation and loneliness! Which other organisations do you work closely with, either locally in Powys, or in the rest of the UK, to provide support to the farming community? Traditionally FCN works with the other farming help organisations namely RABI (Royal Agricultural Benevolent Institute) and the Addington Fund and of course the Government Agencies as applicable to various cases and in some instances in specific programmes like Cymorth Bovine TB control. In Wales the various FCN Groups, led by our Regional Director, are forming working relationships with all support agencies and charities that supply specialist services that may be applicable to achieving FCN’s objectives. The cooperation and information provided by PAVO is an essential component resource for us. 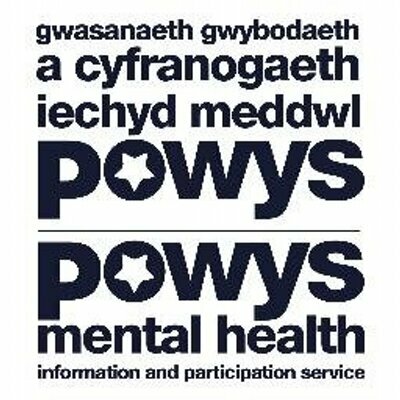 The main challenge of my job is in matching volunteers to cases particularly as we actually do not have enough caseworkers and most of our volunteers do not speak Welsh. For me the reward is to hear that a caseworker has been able to support a farmer to the point where he/she has overcome their problems and is once more living happily and productively. When you are not volunteering for FCN, how do you enjoy spending your time? If you want to find out more about the Farming Community Network you can go to the website at www.fcn.org.uk or email help@fcn.org.uk or ring 01788 510866.